Some LGO students dive deep into scientific research topics and work in a company as an R&D intern. These projects use cutting-edge technologies to solve unique problems or create new discoveries. They use engineering research practices and find ways to apply those discoveries in a business context. The result is often a new product or design. Problem: Additive manufacturing (AM) is a form of 3D printing. It is a new way to digitally manufacture complicated structures. AM has many strengths. It can shorten lead times, reduce material waste, and simplify the overall process. However, there are no common procedures and standards throughout the industry, which limits AM collaborative development. Useful information is difficult to find. Raytheon Missile Systems recognized that they could accelerate the development of advanced missile systems by leveraging the strengths of AM, and they asked Andrew to find a way to do that. A process simulation diagram of the model used to represent AM parts build process and duration. Create a standard process building on Raytheon’s existing product development knowledge and allow product teams from all over the company to easily and quickly produce qualification plans for their chosen material and application. Select and identify key process controls and their corresponding experimental responses in the metals AM technology. Limited public information requires first-hand experience and experimentation to confirm the theory. Use statistical methods for experimental design. Andrew used variance analysis and regression model fitting and provided a template for future experiments at Raytheon. Impact: The experiment successfully established a procedure for qualification tests. Initial results are promising for continued use of Andrew’s methods. Andrew created a qualification test plan and process to help Raytheon integrate metals AM technology into new programs. Raytheon will continue to refine the process, which is designed to be flexible for multiple materials and manufacturing techniques. Problem: Artificial Intelligence allows machines to learn and mimic human cognitive functions. 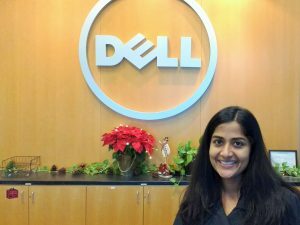 Saila implemented AI technologies in Dell’s Client Solutions Division. Dell spends hundreds of millions of dollars each year providing customer support. Quality teams analyze the call logs to develop ways to avoid future problems. Currently, this process is manual. Saila on site at Dell headquarters in Austin, TX. Evaluate external text analytics vendors and recommend a partner. (Saila assessed vendors for their product capabilities and fit with current internal infrastructure). Develop an internal proof-of-concept model using publicly available natural language and machine learning algorithms and to demonstrate the capabilities and accuracy of such a model. Explore other applications for AI across Dell. Approach: To determine whether a vendor was a good fit, Saila developed an evaluation framework. She used Gartner’s Market Guide for Text Analytics and other resouces to analyse 31 companies. She contacted 20 companies, scheduled advanced demos with 9 companies, and ultimately selected one to develop a proof-of-concept model. For the internal proof-of-concept, Saila leveraged an existing C# model to develop a supervised machine learning model using open source algorithms. She obtained training and testing data for the model from the busiest product line. Impact: External vendors required a high-level of customization and hence were not a good solution for this use-case. 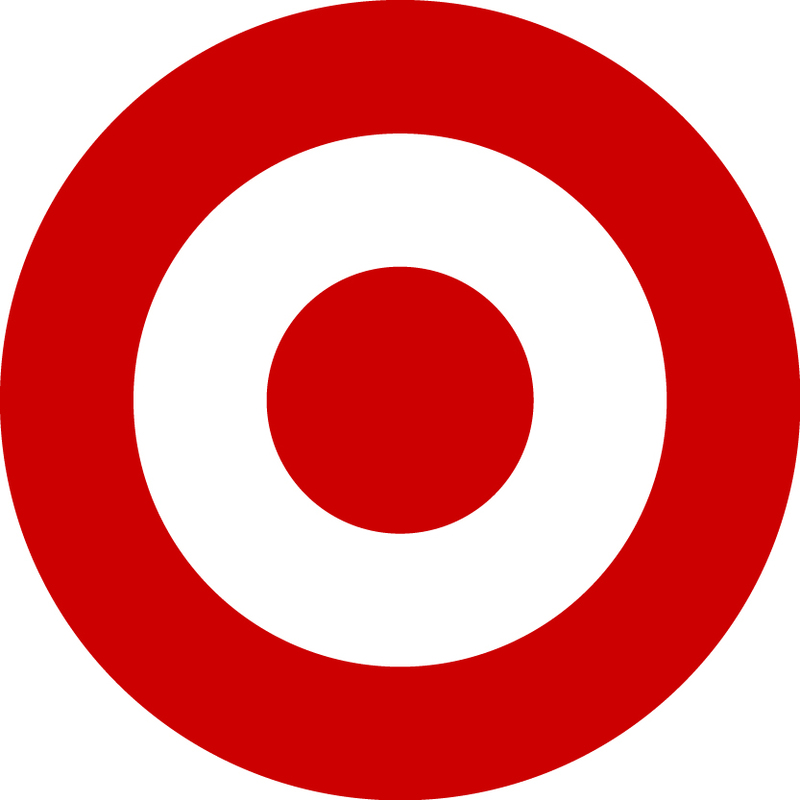 However, after multiple model refinements, the internal model hit the target accuracy, proving that publicly available algorithms can tackle the problem. Dell can use the model to detect fraud and predict system failure. There are other applications for AI in other company divisions. She recommended developing a production model from the internal proof-of-concept model, improving the call logs’ quality, and exploring AI applications across the business. Overall this model could reduce costs by $12 million. Problem: The Chinese hamster ovary (CHO) system is used to manufacture therapeutic proteins, which have a wide variety of medical uses. Insulin was the first therapeutic protein used in a systematic way. Scientists need a robust biological understanding to optimize the CHO bioprocess. To do this, researchers can analyze and synthesize biological data on transcriptome (gene expression), proteome (protein levels) or metabolome (metabolite levels). Kerry focused on streamlining and standardizing the transcriptomic data analysis and used this streamlined workflow to mine Amgen historical datasets. 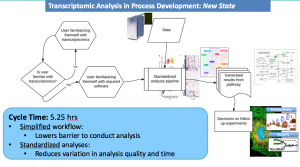 A streamlined process for transcriptomic analysis utilizing systems biology research. Approach: The streamlined workflow reduced the barrier to entry and cycle time to conduct data mining. Scientists and engineers in Amgen can also use it to efficiently analyze gene expression data. By mining historical Amgen datasets using the streamlined workflow, Kerry identified gene expression signatures indicative of hyper-productivity. Specifically, she found key biological pathways specific to a highly productive Amgen cell line. Interestingly, these pathways had not previously been identified as hyper-productivity traits. This work suggests that these pathways are critical to heightened levels of protein production. Impact: Using this information to engineer future cell lines could enable Amgen to improve cellular protein production by over 30%, dramatically impacting costs associated with drug substance manufacturing. More broadly, this example of streamlining and standardizing transcriptomic data provides a framework for how Amgen Process Development can leverage biological data to improve CHO systems understanding and achieve operational impacts. A group of our partner companies have projects related to scientific research and development. Prof. Lauffenburger helps LGO interns with projects related to the pharmaceutical industry. 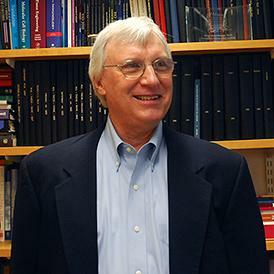 He has particular interest in molecular cell bioengineering. 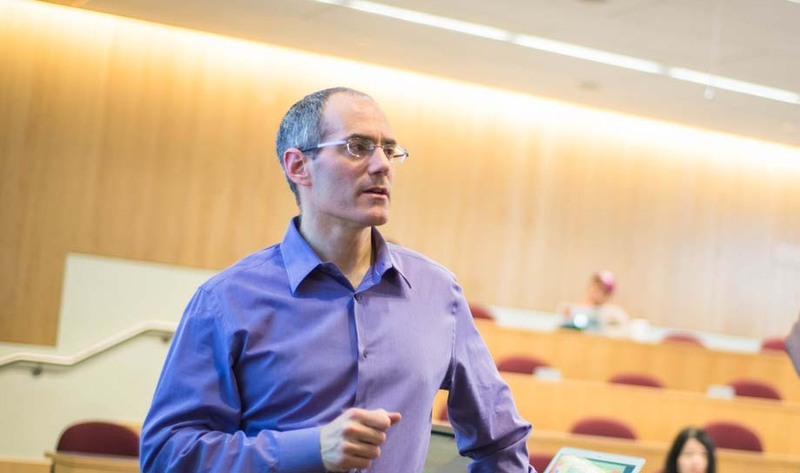 Prof. Eppinger studies engineering systems and their applications in manufacturing industries. 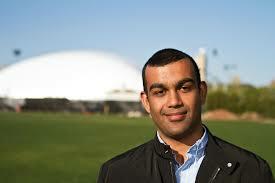 Prof. Zaman oversees LGO internships focused on large scale data applied to business operations and optimization. 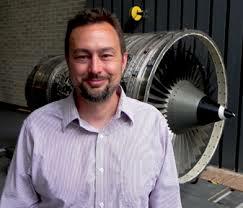 Prof. Wardle oversees theses on material science applied to the aeronutics and airline industries.